The quark gluon plasma, a new state of matter that has existed during the first few microseconds of the early universe, is being created in the laboratory in collisions of heavy ions such as gold or lead that are carried out at big accelerator facilities worldwide. Surprisingly, it has been found, that this new state of matter behaves like an almost perfect fluid meaning it is very strongly coupled and shows collective behavior. Our work addresses the interfaces between a non-equilibrium transport description with hadronic degrees of freedom and a fluid dynamic description in local equilibrium. This is especially relevant for heavy ion collisions at lower beam energies, where only small droplets of quark gluon plasma might be formed. Dmytro Oliinycenko is a PhD candidate in theoretical physics at Frankfurt Institute for Advanced Studies (FIAS). In general, detailed dynamical descriptions are necessary, because heavy ion reactions are fast and explosive processes on timescales of 10-22 seconds and only the finally produced particles are recorded in large-scale detectors. To link the experimental findings with fundamental properties of strongly interacting matter described by quantum chromodynamics, effective approaches based on transport and hydrodynamics are required. Hybrid approaches employing fluid dynamics for the hot and dense stage of the reaction and hadronic transport for the late non-equilibrium are applied very successfully for high energy heavy ion `reactions at the Relativistic Heavy Ion Collider (RHIC) and the Large Hadron Collider (LHC). In our work, we introduce a way to treat small droplets of equilibrated matter at lower beam energies. 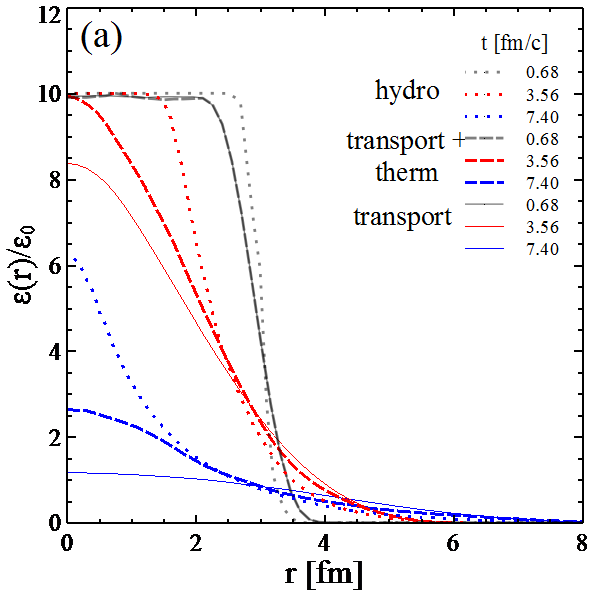 Based on the newly developed hadronic transport approach, SMASH (Simulating Many Accelerated Strongly-interacting Hadrons), we thermalize the system above a certain energy density cut-off. In regions of high-energy density, we replace the non-equilibrium single-particle distribution function in the Boltzmann equation with a canonical one, conserving all relevant quantum numbers. We have investigated three different algorithms to achieve this goal and present their impact on particle number fluctuations. In addition, in the figure above, it is demonstrated that our new method in fact interpolates between hydrodynamic and full non-equilibrium behavior and includes dynamical coupling between both regimes. The observables, for example particle yields and mean transverse momentum, show the behavior expected of hydrodynamics. The current work is an exploratory study of the extreme case of N-particle collisions that lead to instant thermalization. More detailed future work needs to be devoted to a proper microscopic implementation of multi-particle collisions to study the transition from non-equilibrium transport to ideal hydrodynamics. 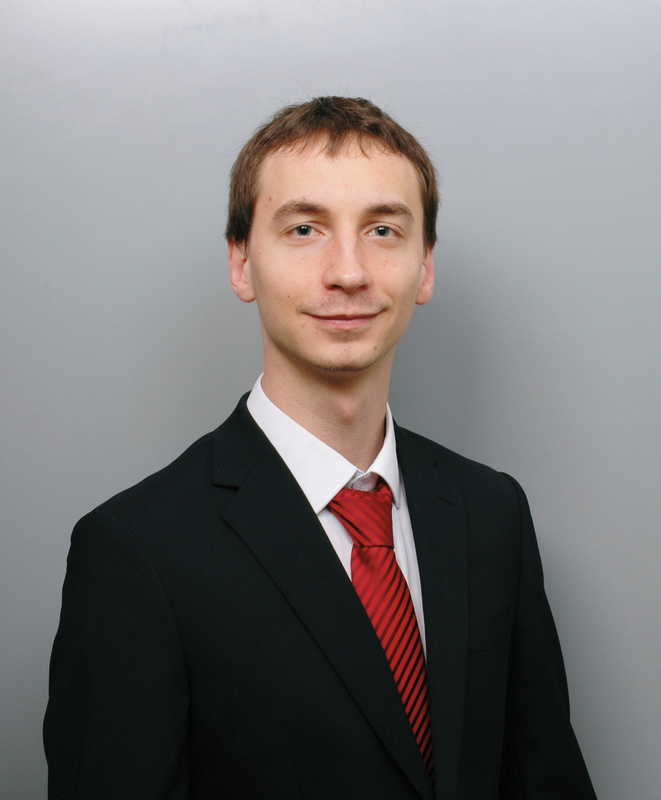 Dmytro Oliinychenko is a PhD candidate in theoretical physics at Frankfurt Institute for Advanced Studies (FIAS). His research focuses on the Monte-Carlo simulations of relativistic heavy-ion collisions. belongs to the special issue: Emerging Leaders, which features invited work from the best early-career researchers working within the scope of J. Phys. G. This project is part of the Journal of Physics series’ 50th anniversary celebrations in 2017. 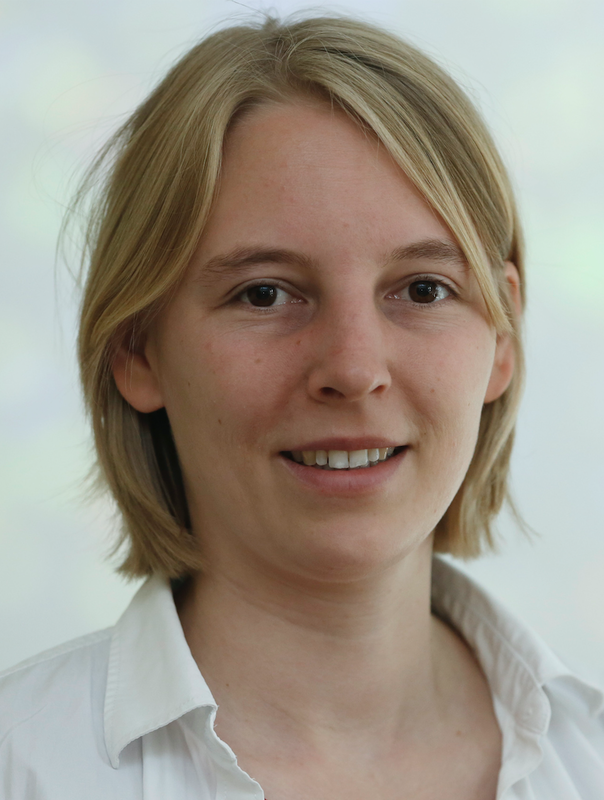 Hannah Petersen was selected by the Editorial Board of J. Phys. G as an Emerging Leader.